Large 3D skull ornament, gunmetal skull-shaped studs, sparkling fringe of metal chain and faceted faux-gemstones on quilted smooth leather exterior. 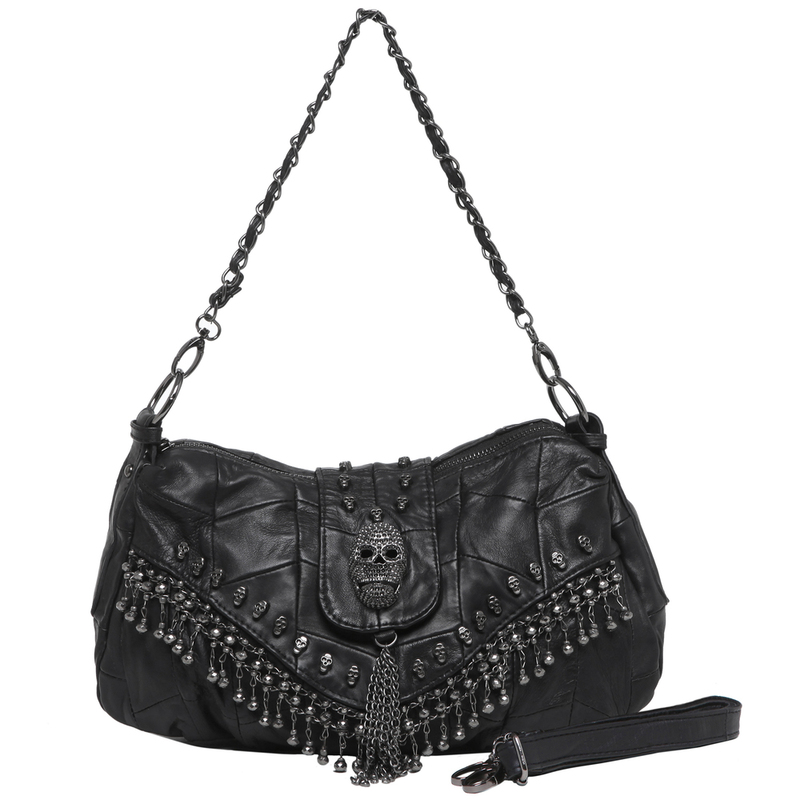 Includes 1 removable chain handle made of chain and leatherette and 1 removable and adjustable shoulder strap. 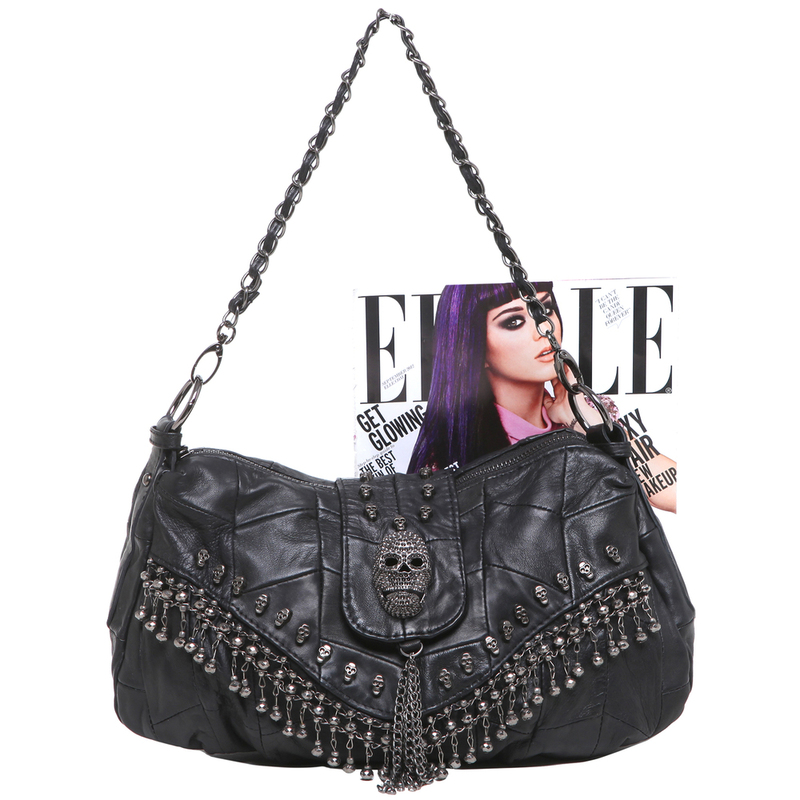 Designed with a modern, angular design, this Gothic inspired tote gets its biggest kick of head-turning style from the giant Rhinestone-studded skull head ornament to gunmetal skull-shaped studs. Sparkling fringe of metal chain and faceted seed beads complement the quilted pattern perfectly. Open up the snap closure top flap and main zipper to find a fabric-lined compartment with plenty of room to stash your daily essentials, plus 2 pockets and 1 zippered pocket that keep smaller items organized. Use the 1 zipped pocket on this top single handle handbag's exterior for extra storage. The chain leatherette-wrapped shoulder strap and the detachable shoulder strap make it easy for a carefree appeal, or wear it cross body style to really impress. 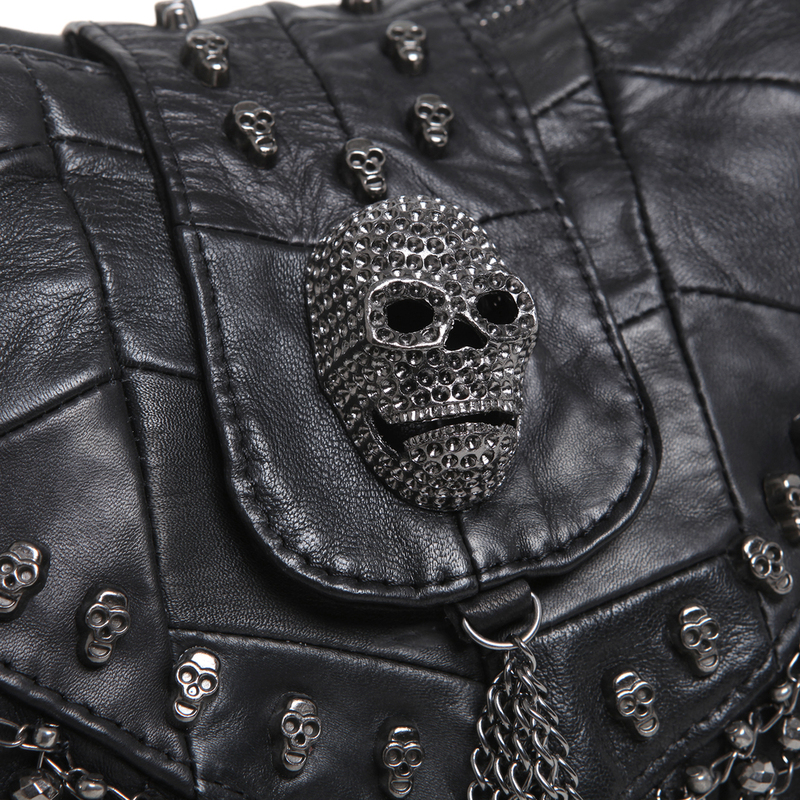 Proving that bold and gothic is always a great thing when showing this hobo bag dramatic and overwhelming detail to make its point.